This evening, like so many before it, finds you sitting down in front of your computer screen. Your working days are at best blandly insignificant, at worst a constant stream of tiny, cumulative disappointments and subtle digs from colleagues reminding you that you'll never really be one of them. At least you have this. Your computer is here, switched off. 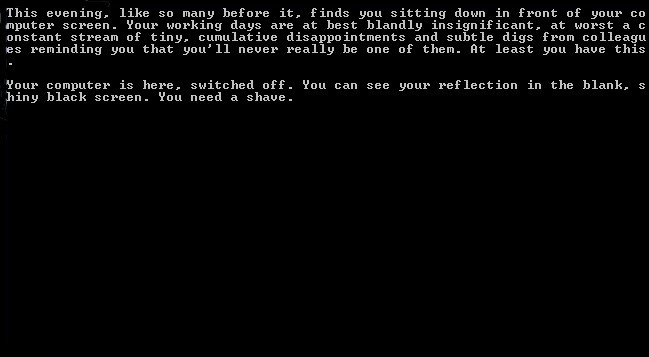 You can see your reflection in the blank, shiny black screen. You need a shave.